Breaking news! This week I was interviewed about raising bilingual children at the popular podcast Preschool and Beyond. The host is Mike Dlott and we had a great discussion. I hope you enjoy it! And I highly recommend the many other episodes at this podcast, too—it’s a goldmine of practical information about parenting issues. 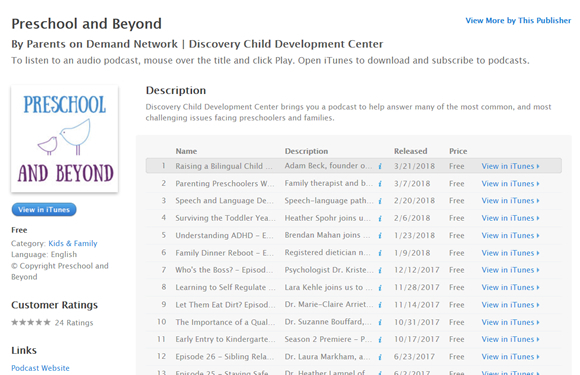 Listen to the Raising a Bilingual Child podcast episode at the Discovery Child Development Center website. 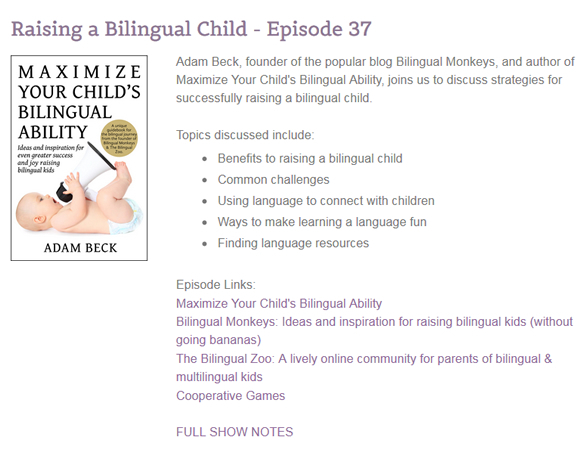 Or listen to the Raising a Bilingual Child podcast episode at iTunes.